Last month, we visited the ever buzzing and vibrant Hong Kong. We have been here before and in fact, I spent quite a bit of time here when I was a medical student. This time it was only a short trip though and mainly to visit friends. We did however spent a chunk of time eating, as one should when you are in HK. You cannot visit HK and not sample their delicacies, of which there are many. We wished we could have gone to more places but time and how much we could eat often dictated where we ended up! To balance out our excesses, we did walk to a few local sights. But on this trip, the scales were certainly tipped firmly into the food category. So, it takes a moment to take it all in. And a moment is likely all you will be afforded as the frenetic crowd will surge past you leaving you in its human wake. And yet in a strange kind of way, there is no chaos or confusion. No pushing or shoving. Just everyone going about doing what they do. This is the beauty of it. This is Hong Kong. I guessed I could have picked a less dense or greener part of HK to ease me in but my friend and I wanted to look at electronics stuff. 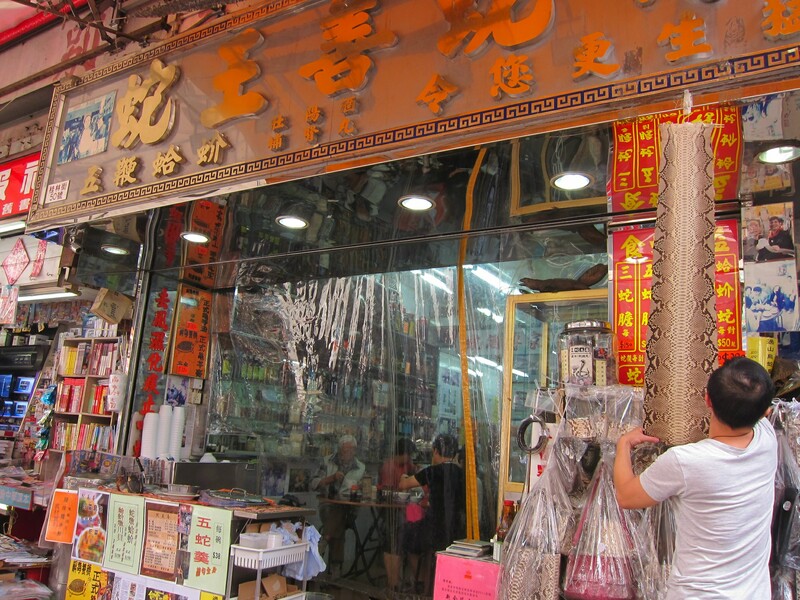 And there is no other place better than Sham Shui Po. 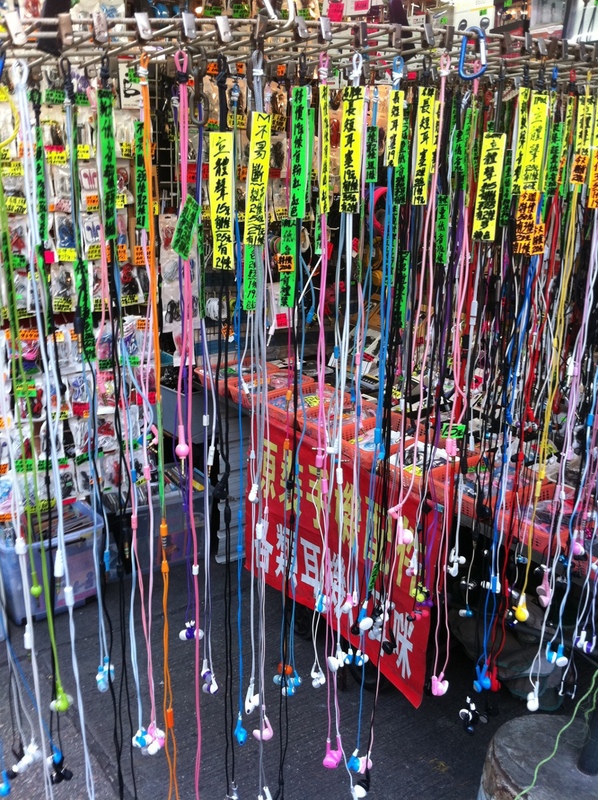 Think of a flea market in hyperdrive and you will get a feel of what it is like shopping for electronics here. Flooded by cheap Chinese-sourced electronic goods, you could get lost here with a sea of items sometimes just thrown together in plastic tubs on shelves. The variety is mind boggling and you would do well to hold on to your wallet. If you do not know what you are looking for specifically, you could easily leave with a trolley load of stuff just because it seemed like a good idea at the time. However, don’t waste your time asking about international warranty on these items. At some of the prices quoted, you could afford three of the same thing. Just pick what you like and hand over cash at the counter. My friend swears though that they are pretty good nowadays. 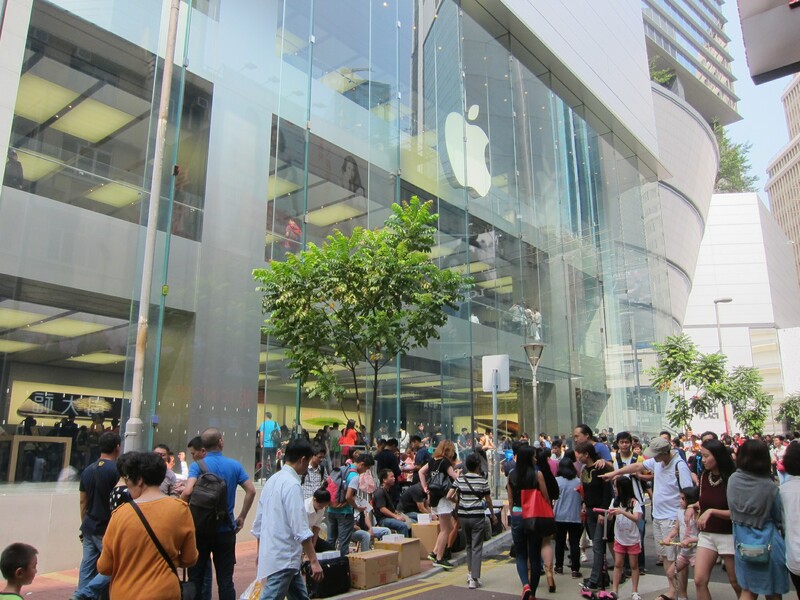 However – if you are a dyed in the wool Apple geek who will never steal a sideways glance at anything else, there are actually three Apple stores in HK that you can visit instead. What you will not find probably anywhere else, is the row of “sellers” sitting outside the Apple store in their plastic stools. A few of them even located right next to black shirted Apple security personnel! With their cardboard signs and boxes of brand new iPhones beside them, we were surprised to learn that they were selling them! As no prices are advertised, you have to ask. Curious, I did just that and got told that a brand new iPhone 6 (128GB) will set me back HKD$8,100. This is higher than what you will get in the Apple store just behind them. But apparently there’s such a long queue for iPhones, there are plenty who simply cannot wait. They just want one now. And if I wanted any proof, one guy walked right up and handed over a wad of HK dollars. The seller took his time to count it a couple of times and then a new iPhone (still in its original packaging unopened) was handed over to complete the transaction. In broad day light, I got firsthand view of the cash economy. Can this really be legitimate? As I found out later, it is not strictly illegal. As explained to me, it is like anything being bought and sold on eBay between two parties. It just so happens that in this case, why bother with all the go in-betweens when you can just complete the transaction all in one go. Right outside the Apple Shop! However, the police do intervene sometimes when the crowds gets too much and spill onto the street as we saw later in Causeway Bay. They were told to clear off as they were creating a traffic hazard for cars wanting to pass. But minutes later, they were all back again in their plastic stools and cardboard signs! And so were the buyers. 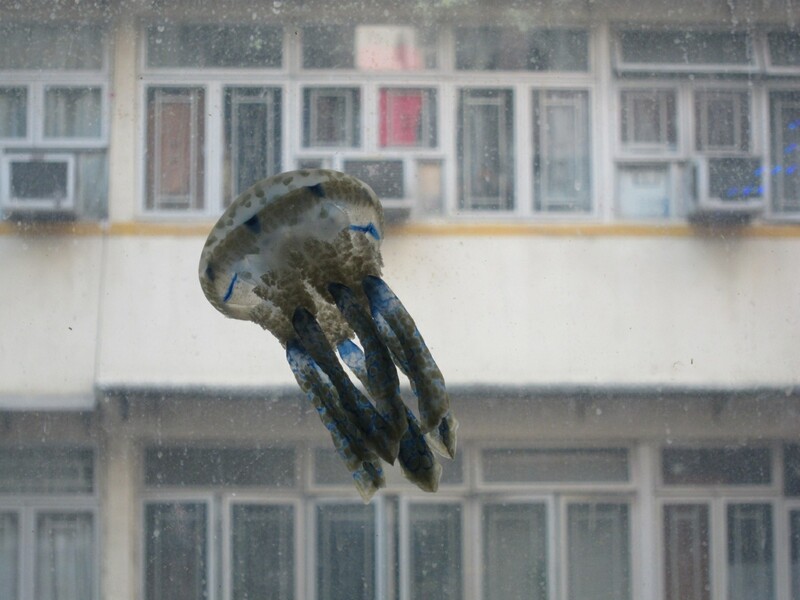 After being overwhelmed by Sham Shui Po, it was time to catch a break. There is much on offer here but snake soup was on my friends mind. I don’t know much about this HK delicacy but never one to shy away from any local delights I followed him straight into a shop that clearly do snake. On one side is a glass enclosure filled with live snakes. And along the walls plastered with newspaper cuttings are glass cabinets with jars and jars of preserved snakes. I was just glad Sze Wey was not here. She would have never stepped into a shop like this one. 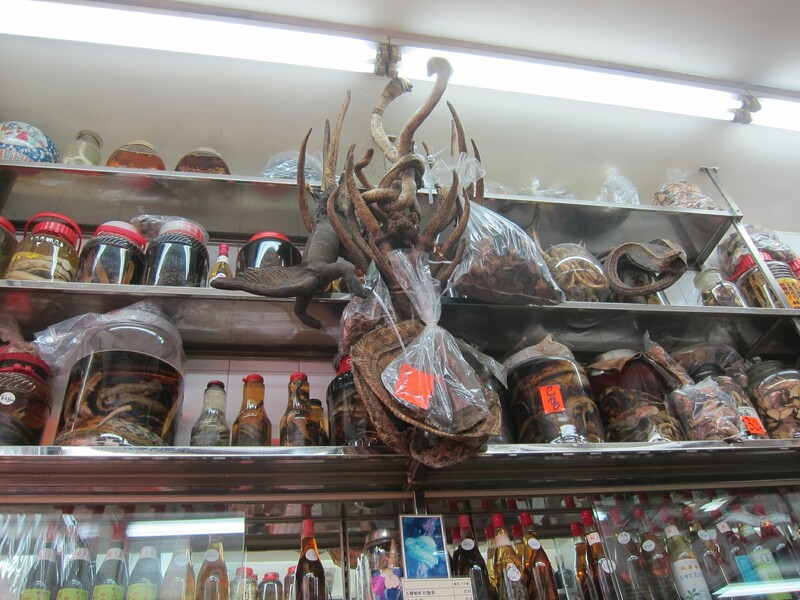 Other than soup, you can walk away with some snake skin handbags, belts or even just the skin itself! And yes there is even snake oil which will treat a range of ailments. 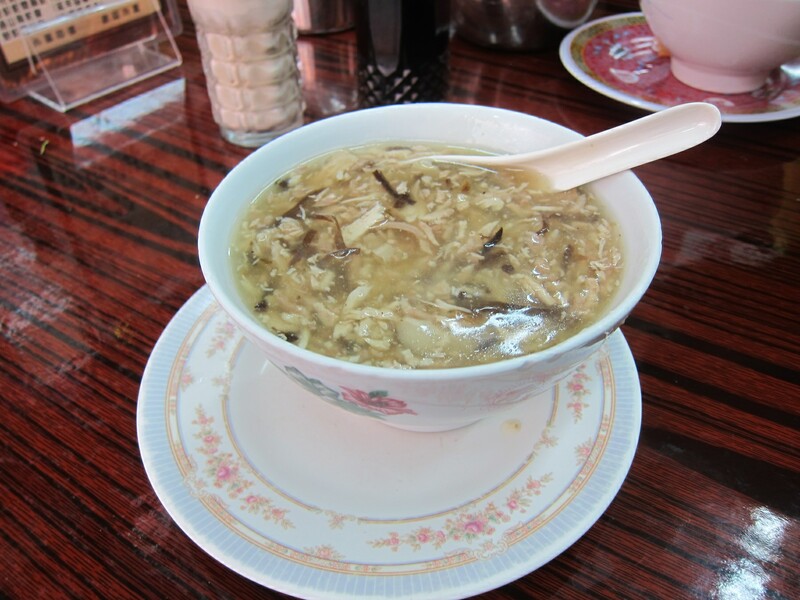 With seating for no more than 20, everyone here seemed to only order what must be the only dish on the menu – snake soup. Within moments of sitting down, my bowl of soup arrived and it looked . . . just . . . like . . . soup. I don’t know what I was expecting. A bowl with a snake coiled inside it? What a misguided thought! My friend chatted with the vendor and we found out that you can BYO (bring your own) snake as well. Never one to collect roadkill for food, I wondered why my friend was even exploring this idea. Anyway, for about 200 HKD (depending on the size of what you brought), they can “prepare” your catch in a few ways including of course soup! My friend asked what if he brought in a python. (It is hard to believe but yes HK has Burmese pythons!) 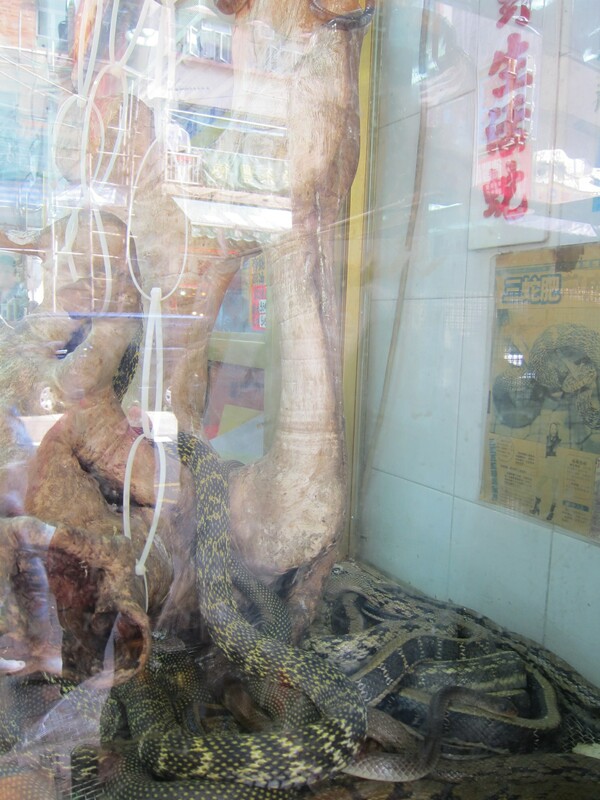 The shop owner quickly stated that pythons are protected and hence they are not allowed to cook them. But at home, you are can of course do whatever you like! Mt friend’s son loved his soup so much that we ordered another bowl. So what does snake taste like? Boring as it may sound . . . just like chicken. Next up, we wandered down to what is known as Goldfish market. I like goldfish and have some in Melbourne, so inevitably I had to just come here to have a look. (Knowing full well, it would only make me jealous to see what you can get here for a few dollars). I was certainly not to be disappointed. Here, shops are filled with an incredible variety of tropical fish, plants and everything to do with aquariums. It is simply an amazing place. 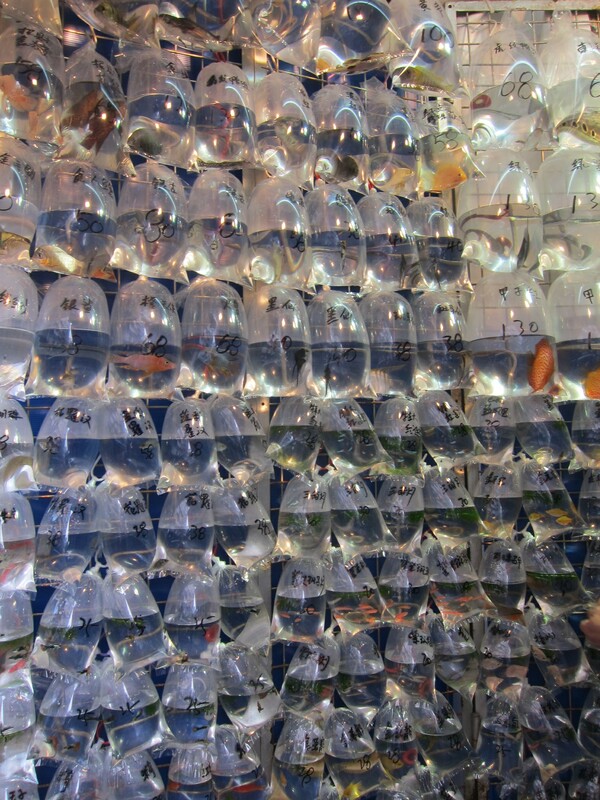 Tropical fish sold in transparent plastic bags hung along a wall. 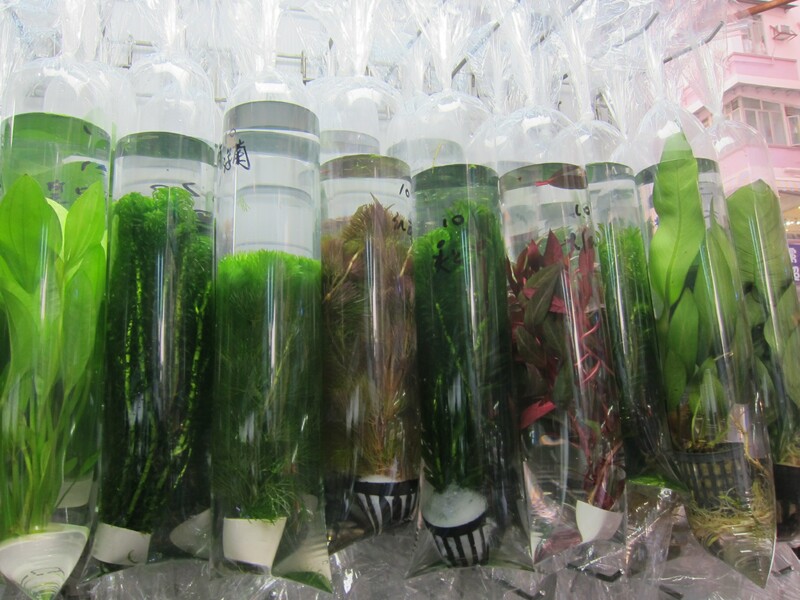 Even aquatic plants are sold in the same fashion. A jellyfish shop on the second floor which made for an interesting photo. As you can see, there are walls of fish on display in transparent plastic bags with prices on them. Some would question if this is being rather cruel to the fish – being confined to hardly any room. That did come up in chatting to our friends here and the best retort I heard was – Why should fish do any better since that is how all of us live in HK! Looking at all the high rise flats/apartments in HK, I guess I can see where they are coming from.